The NY Division of the ERA has had to cancel its previously scheduled trip involving the New York and Atlantic Railway. In its place, we are pleased to announce a day trip on NJ Transit’s Pascack Valley Line on April 12, 2008, which we are running jointly with the New York Railroad Enthusiasts (NYRRE). Up until late last year, it was not possible to explore the line on a one-day round-trip. With the installation of passing sidings and the offering of mid-day and weekend service, this trip is now possible. All attendees will meet at either Hoboken Terminal, where the train begins, or at New York Penn Station, where a train can be boarded to connect with the Pascack Valley train at Secaucus Junction. NYRRE is hoping to arrange for an early boarding at Penn Station, so look for the group in the waiting area towards 7th Avenue. At Hoboken, look for an NYRRE member in the waiting room prior to boarding the rear-most passenger car in service. 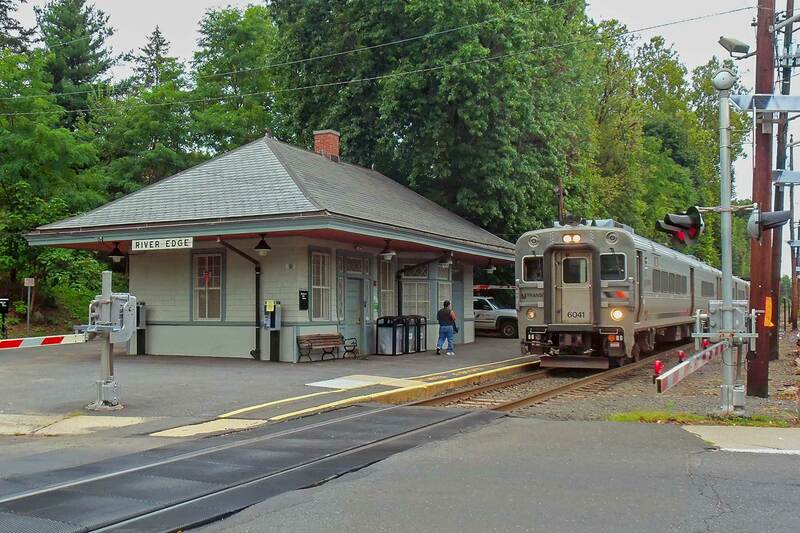 We will ride the train all the way to Spring Valley, N.Y., where we re-board and return to Westwood, N.J., for lunch (note the beautiful station). We will have lunch at the Iron Horse Restaurant & Cafe in Westwood, with an appropriate railroad motif decor. While you need not choose until the day of the trip, meal choices include: beef or cheeseburger; corned beef rueben; pulled pork sandwich; Asian grilled chicken salad; fish & chips; and grilled chicken. A crock of Iron Horse cole slaw and pickles, as well as coffee, tea and fountain soft drinks, plus dessert, are included. Alcoholic drinks are on your own. After lunch, we will board the train to Hoboken or to Penn Station (with a change at Secaucus Junction). This trip operates rain or shine. Reservations and payment must be made by March 31, 2008. Checks should be made payable to “NYRRE, NY Div. Trip Fund.” There are no refunds unless cancellation is made more than two days in advance of the trip.